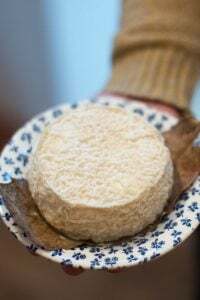 I discovered La Cigogne right in my own backyard, so to speak, when my friend Jane asked me if I wouldn’t mind if a shop that sold local and regional foodstuffs supplied treats for a book event I did at her cooking school, La Cuisine, I met Philippe Caumont, the owner of the shop. 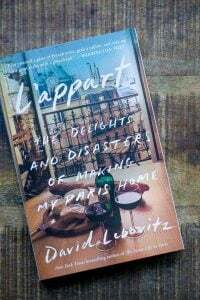 I tasted some of his superb pâtés, as well as a tipple of Armagnac, and fixed a date when I could visit his épicerie in Paris. 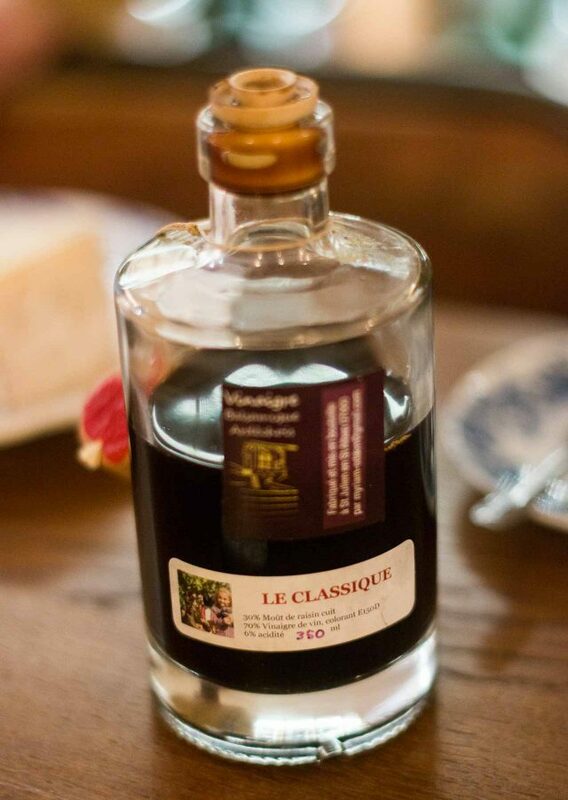 Philippe and his business partner, Pierre Dompnier, founded La Cigogne in 2016. 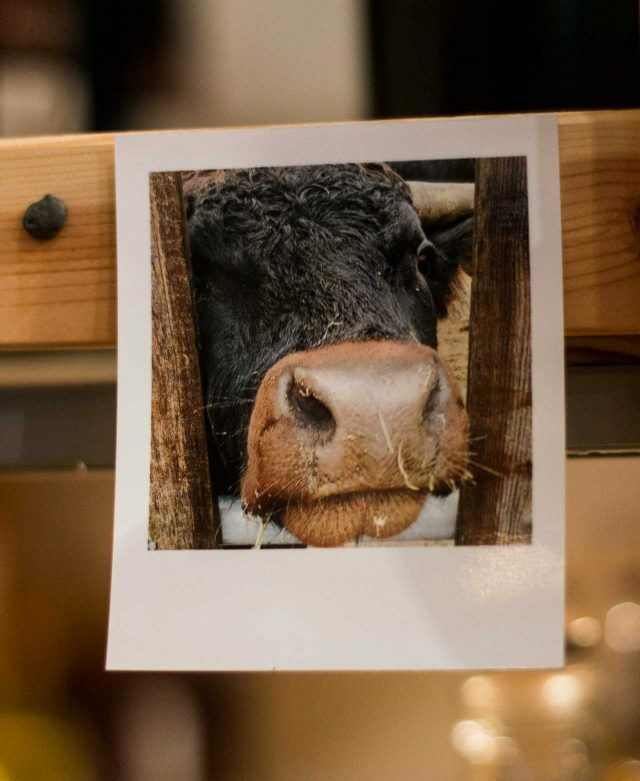 They previously studied agriculture together at a university in Toulouse. During that time, they met many farmers and producteurs, and decided to open a business to feature them. 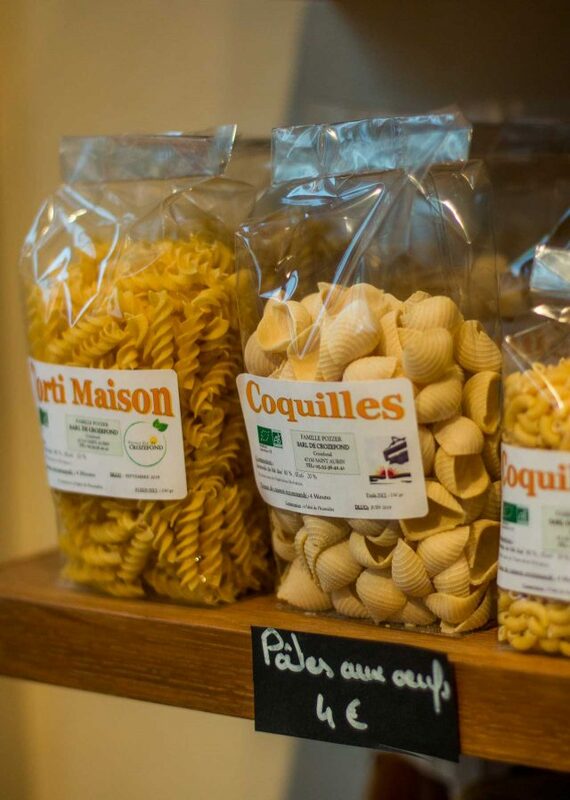 Originally an online shop, their épicierie is now open for business in Paris. You can tell when French people really like something when they get enthusiastic and say “J’adore ce fromage!” Otherwise, everything else that one is okay with, is considered “Pas mal,” or “not bad.” If you don’t like something, it’s “pas terrible,” which means “not terrible, which perhaps is more polite, or to the exigeantes (discerning) French, means that there’s room for improvement. 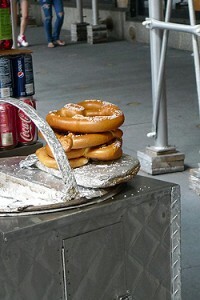 These guys love, and are passionate about, everything they sell and I found myself saying J’adore! a lot in their shop. 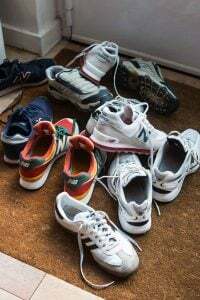 Another expression that’s become popular lately is Made in France (said in English), and their shop is a great example of how many wonderful things are fabriqué en France. 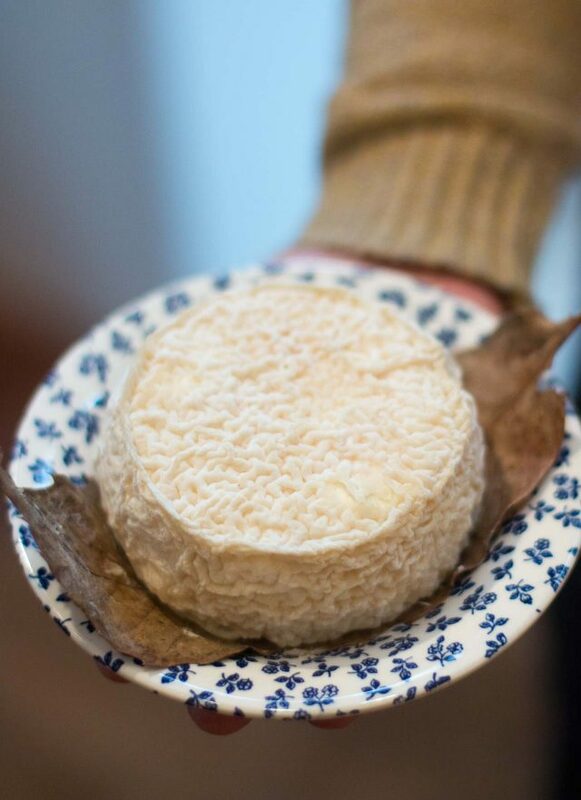 Like these dewy, tangy little goat cheeses. 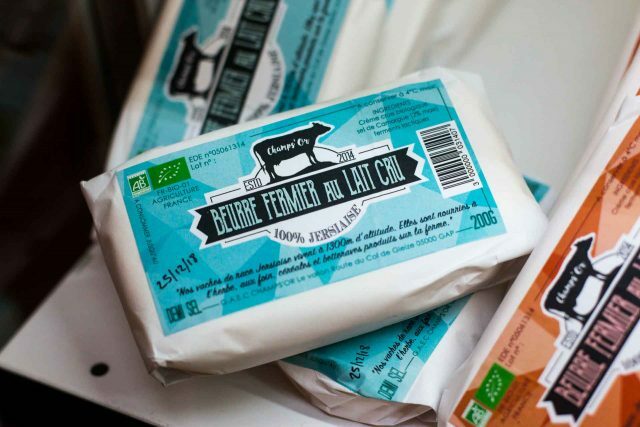 Made from organic milk, each is seasoned with a sprinkle of sel from the Camargue, a region famous for its salt, but also for its pink flamingos. 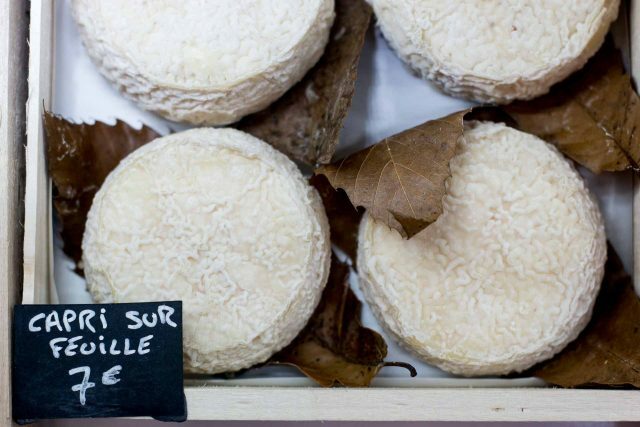 Nearby was a favorite cheese of mine, Beaufort d’été, made from milk that the cows produce after grazing on summer (été) grass and flowers high up in the mountains, which gives their milk a particularly delicious flavor. 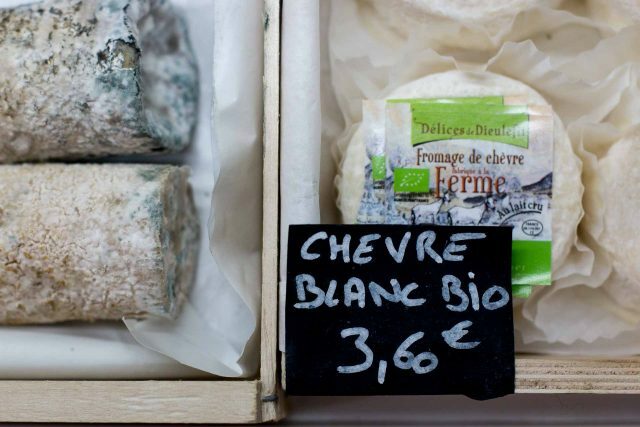 As popular as cheese is in France, charcuterie gives it a run for the money. Although I didn’t get a picture of the one I bought from the inside, the duck rillettes with a generous circle of foie gras in the center were a hit when I got them home and served them at a dinner party. 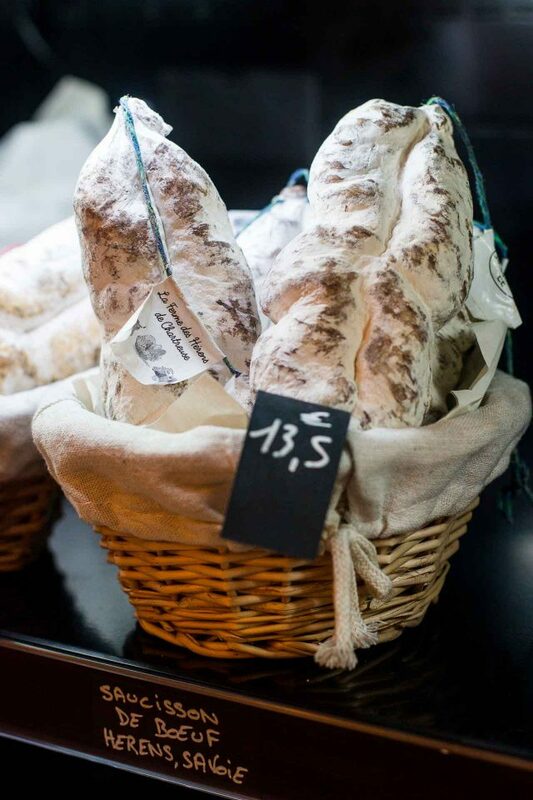 To be honest, it takes a lot to elicit excitement or to get a J’adore about charcuterie, in a country where there’s no shortage of mighty fine cured meats, terrines, and pâtés. But this one did. 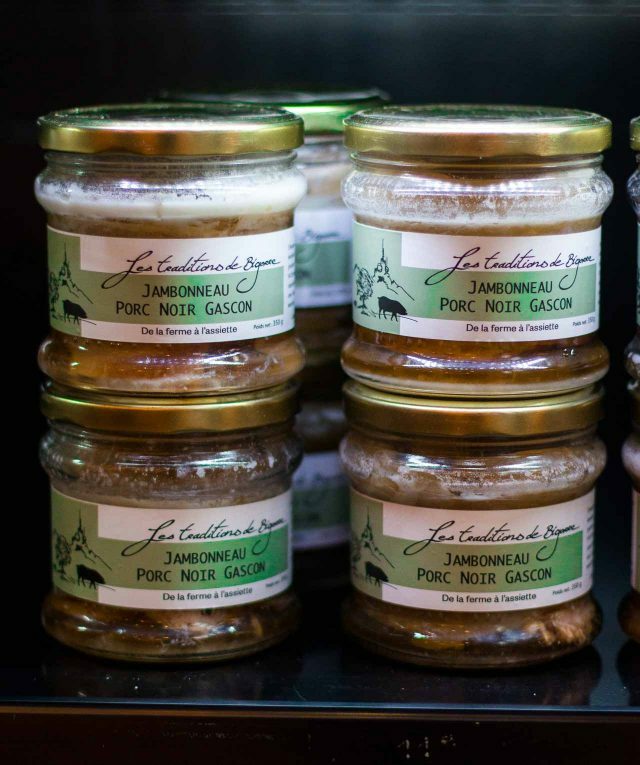 Another beautiful product was the jambon porc noir from the southwest of France. 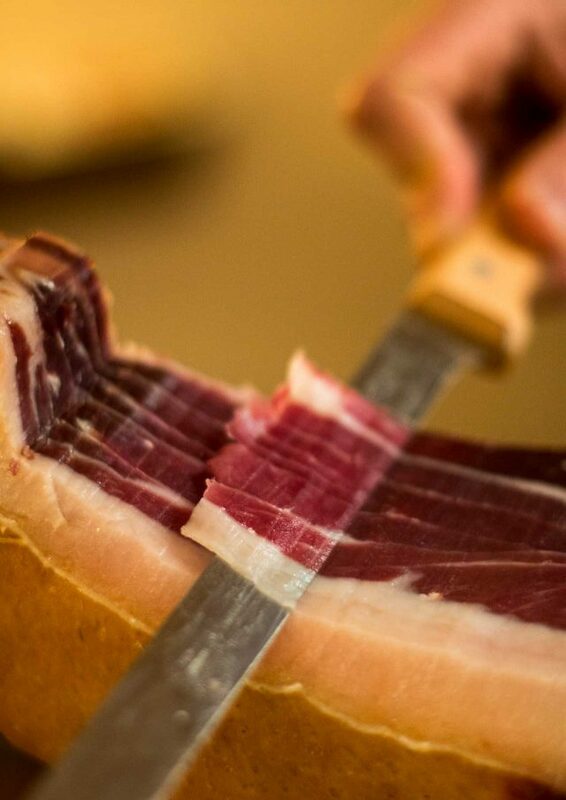 This beautiful, gorgeous, and nutty, fat-laced ham is produced from black-furred pigs, the oldest race in France, which feed on acorns, insects, and chestnuts. 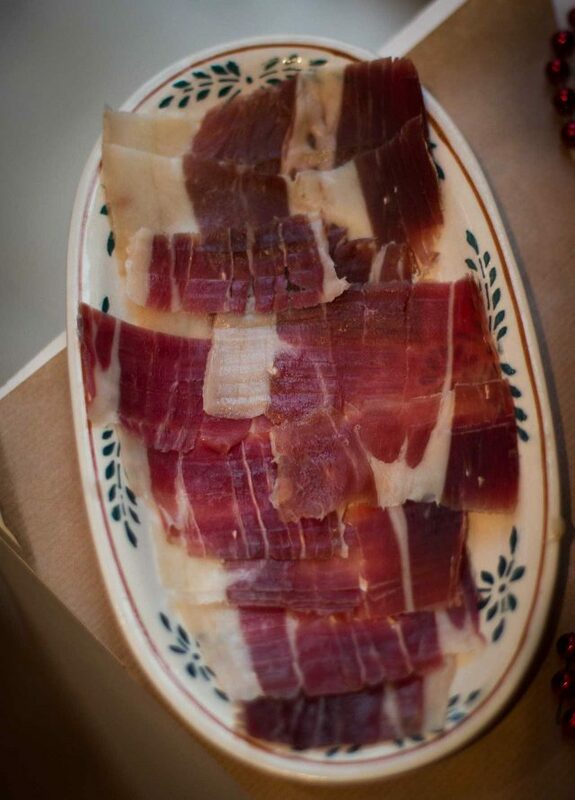 The ham is cured for at least two years and has to be cut very fine, like it’s Spanish counterparts. Otherwise, it’s tough and not worth what it commands. 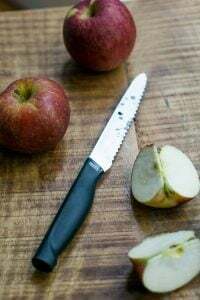 I learned that a few years ago when someone gave me a whole one and I had to practice to get it to the right thickness…or thinness, I should say. It’s a rare treat and it took a while for my apartment to stop smelling like cured pork, which isn’t necessarily a bad thing. I made it through, but it’s easier to leave it to the pros, like Pierre, and buy it here. 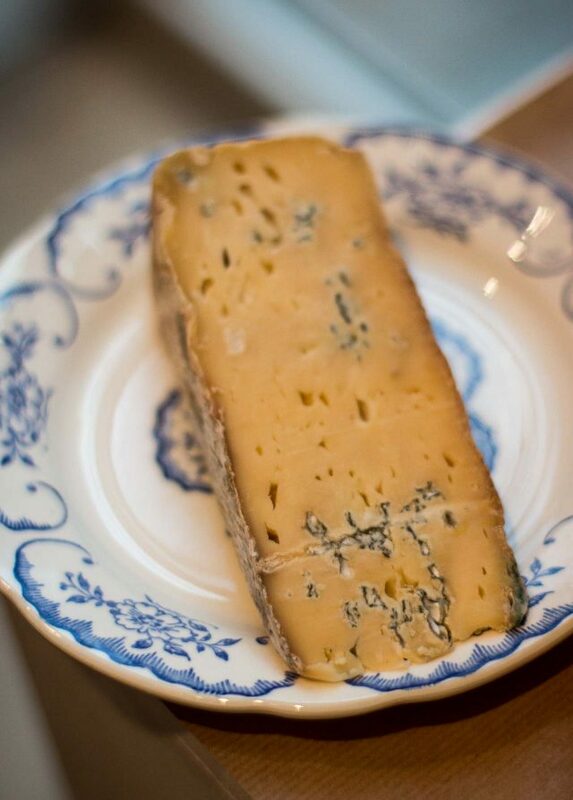 Circling back to the cheeses for a moment, this curious Bleu du Vercors Sassenage (below) was surprisingly mild and milky-tasting, with a slightly nutty finish. 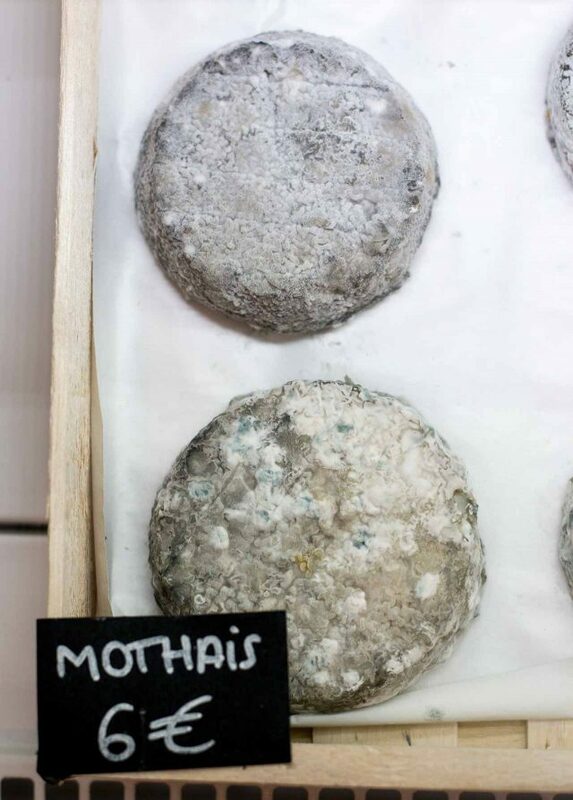 Blue cheeses can be rather sharp and acidic but the creaminess of this one would lend itself to a raclette or even a fondue. I took a wedge of that home, which ended up being the perfect pairing with some sweet-sour fig chutney. Also in the dairy case, and not to be missed, is raw milk butter. The “dry goods” side of the shop yielded lots more finds. 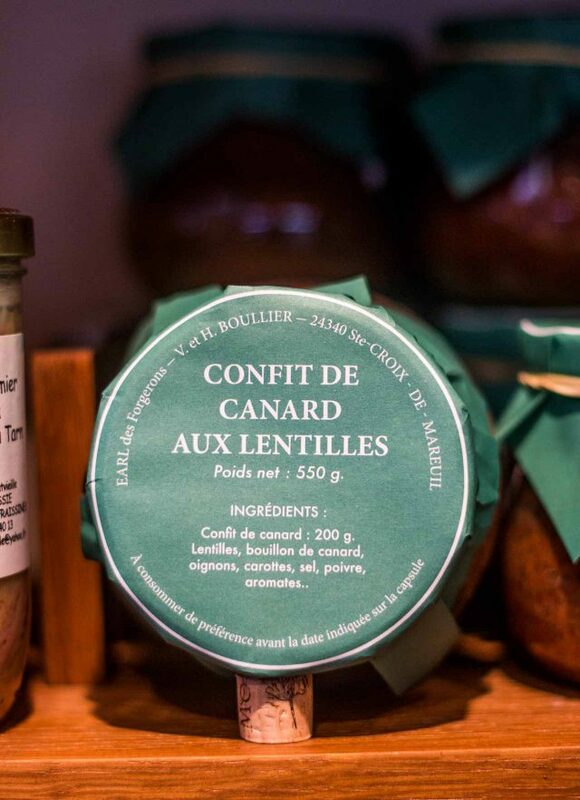 While people don’t think the French eat pre-prepared foods, they do, such as jarred confit de canard (preserved duck) and cassoulet. 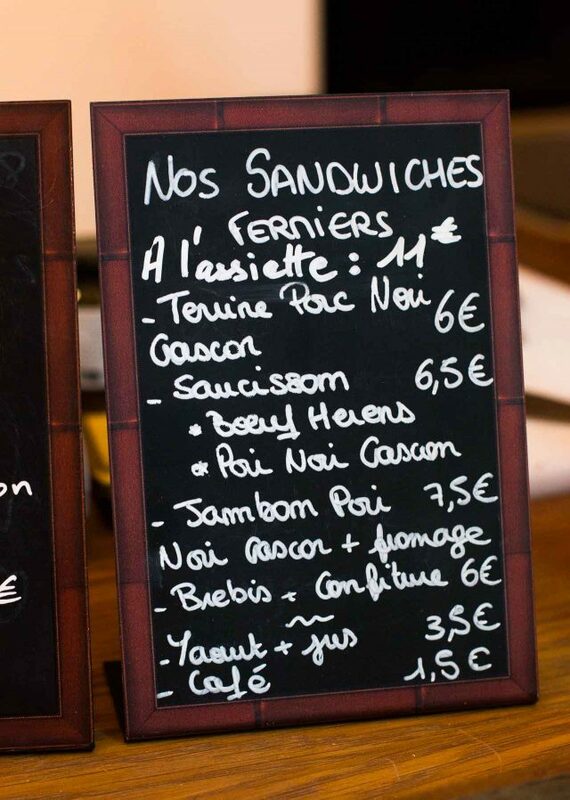 For those who want to dress it up, they even sell cassoles, the Gascon pottery dishes to bake it in. A few weeks ago they had a cassoulet night in the shop. Anyone was welcome to could come and dig into a bowl of the famed bean-based casserole baked, along with a glass of wine. 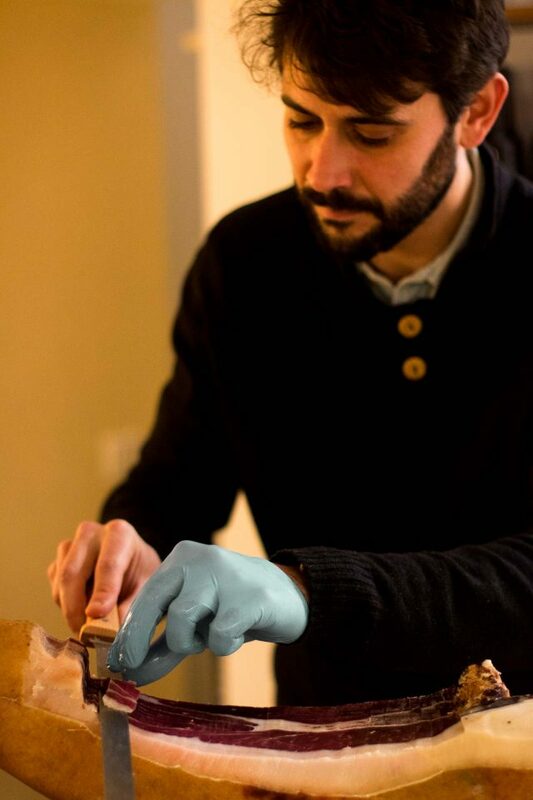 I was felled by the flu and couldn’t make it for that one, but you can find out about other events, like their recent Raclette Night, on their Instagram feed. One particular curiosity to me on the shelves were these perky pods (below) of ail d’ours (bear’s garlic, similar to ramps). 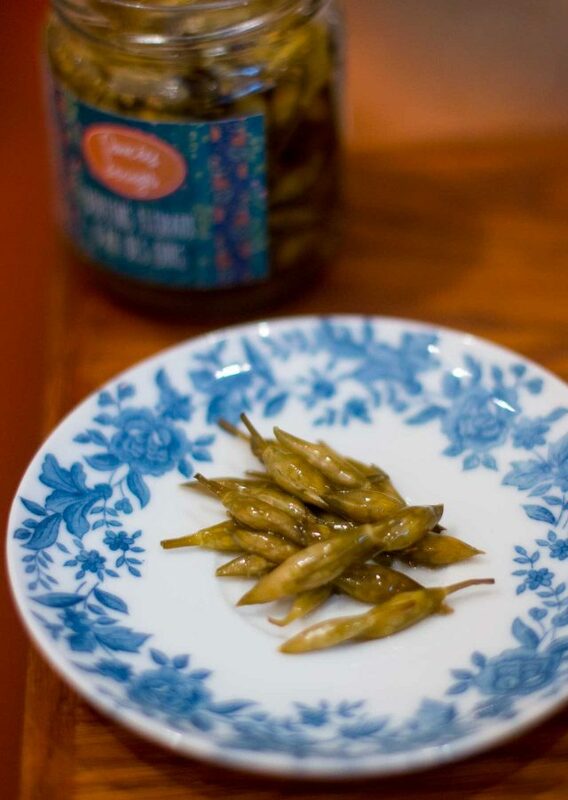 I make a super-garlicky pesto out of the leaves when I find them fresh, but these pickles made from the flower buds were vinegary and sharp, which tames the garlic, but just a little. They’d be really (really) good with pâté, a plate of country ham, or even slipped into a sandwich. 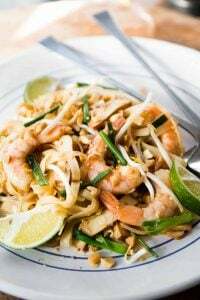 Or chopped up in mayonnaise. Or as a base for tartar sauce. 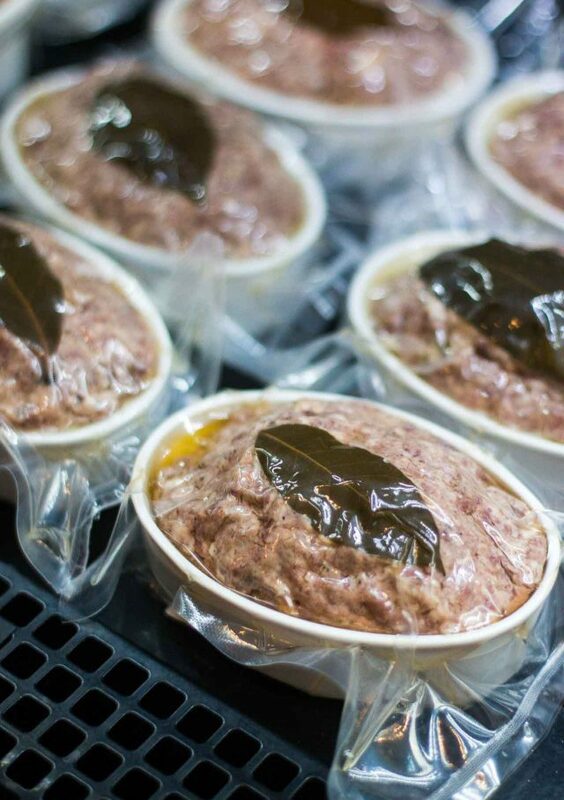 Or added to tapenade. Think of the possibilities! 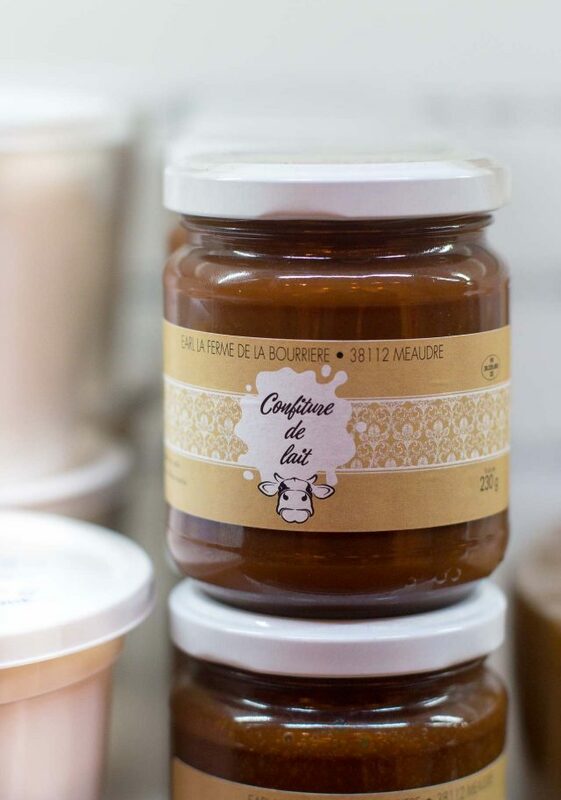 The French also have their own version of dulce de leche, called confiture de lait, or milk jam. 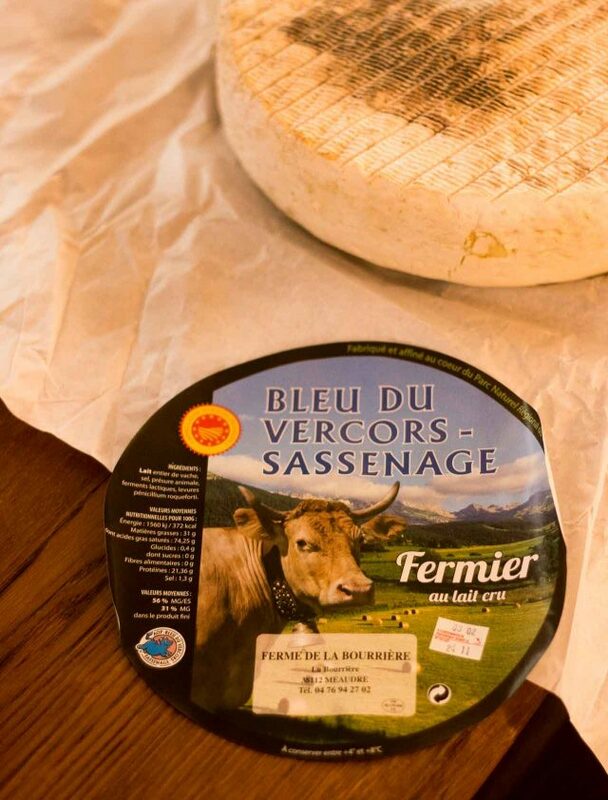 This one is made by a milk and cheese producer in the Vercors Massif, a mountainous area that straddles the Drôme and Isère. 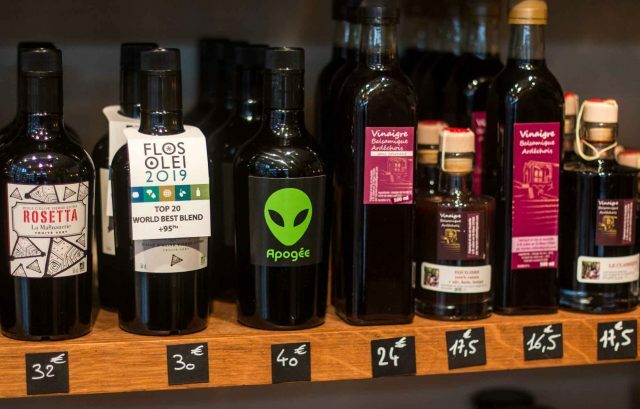 Sticking with the Made in France theme, there’s a line-up of “balsamic vinegars” from a woman who produces it in the Ardeche. They’re not the same as those made in Modena, hence the quotation marks (for those keeping track of those things), but made from the juice of four varieties of grapes. 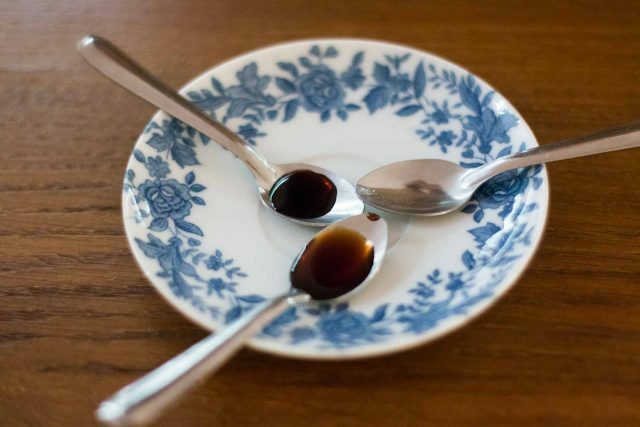 There are various types of balsamic, with different degrees of moût (grape must, composed of skins and seeds) added, which determines the thickness and the flavor. We tasted all three. 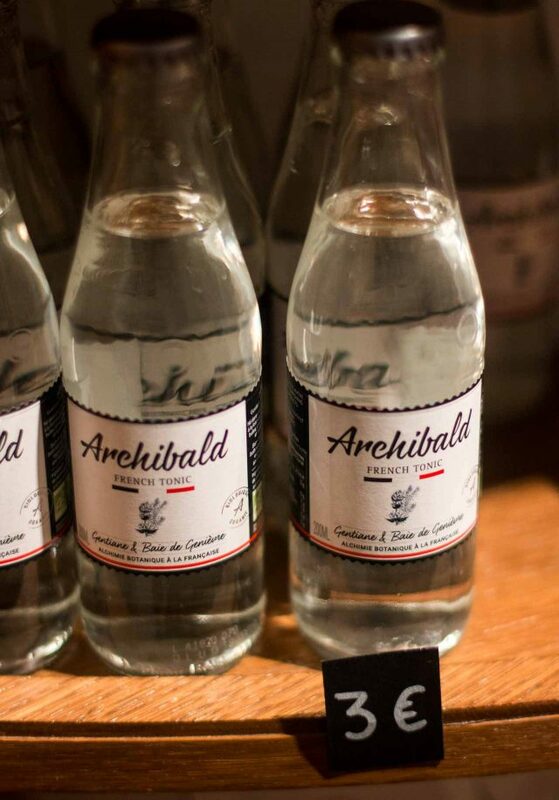 One Made in France product that I’m particularly enamored of is Archibald tonic water. 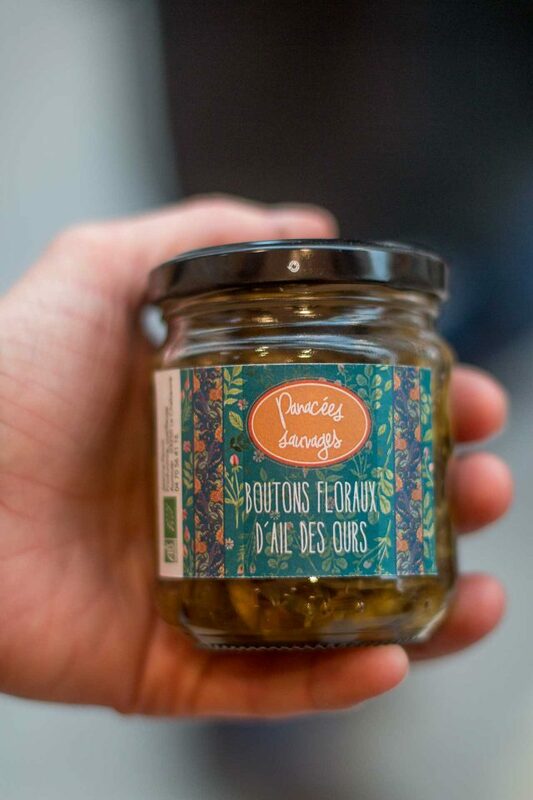 It’s proudly made from all-French ingredients, so it gets its bitterness from gentian, grown in the Auvergne, rather than quinine imported from elsewhere. 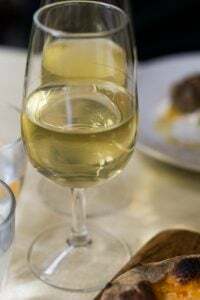 Pineau is cognac’s more sippable offspring, a mix of grape juice (or must) and cognac. If you’ve not tried it, it’s a lovely apéritif, served chilled, perhaps with an ice cube, or not. 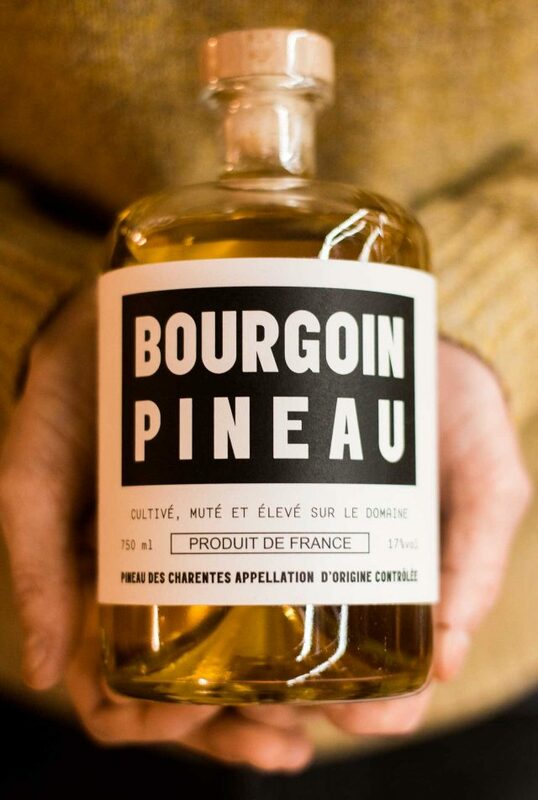 This one is from Bourgoin Cognac, a small producer, and is barrel-aged for a year before bottling. La Cigogne also carries their highly regarded cognacs and in spite of my reluctance to do any more traveling for a while, I hope to get down to their distillery one day. 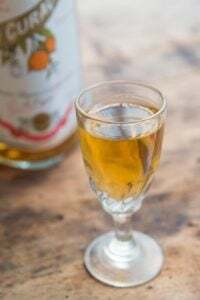 Armagnac is cognac’s raffish cousin. It’s only distilled once (cognac is distilled twice) and is more brazen than cognac. Armagnac producers don’t have marketing budgets like some of the big cognac brands, so it’s less-known. 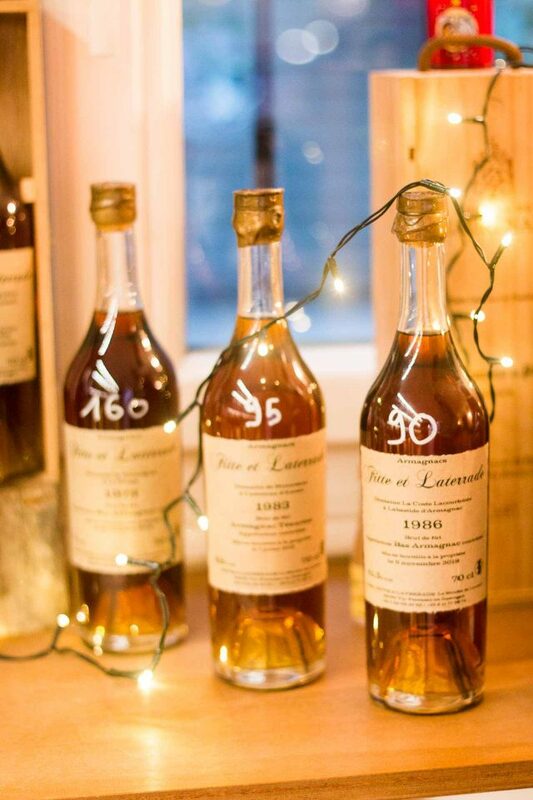 Cognac is great stuff for sure, but Armagnac has its own force and beauty. 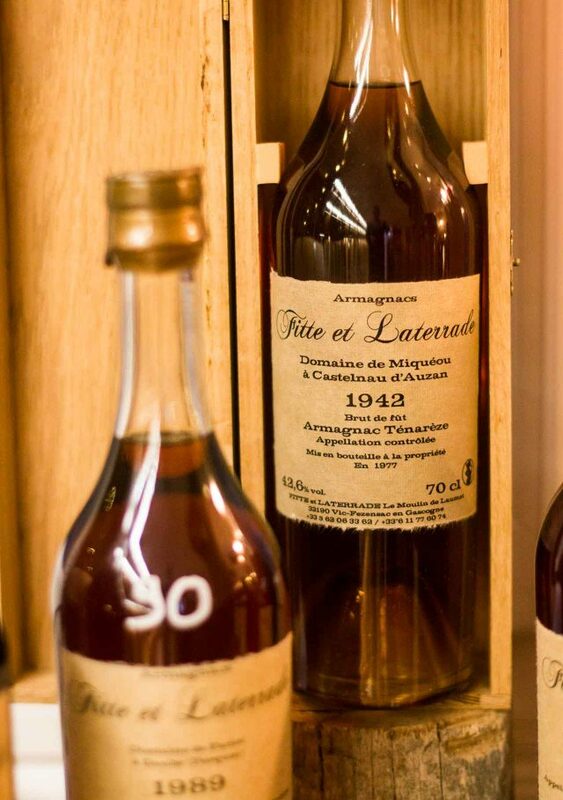 When buying Armagnac, one shouldn’t necessarily be persuaded by age. 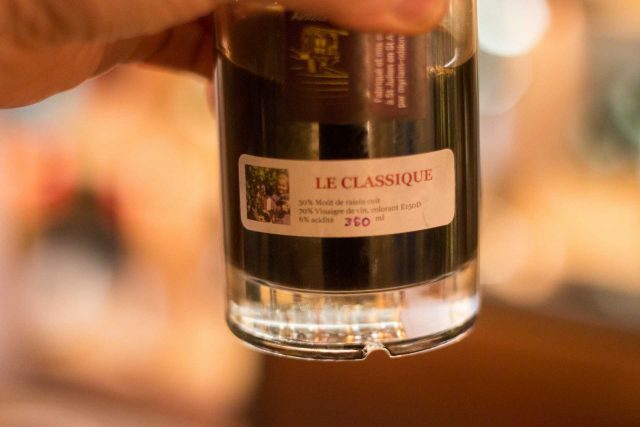 It’s the cépage (variety of grape used), and other factors, that determine its quality. That was evident when I smelled the various bottles they had on hand, including one from 1942, which smelled lovely, but not as terrific (to my taste, or nose) as the one from 1975, which was truly spectacular. It had been a long day, on the day I visited La Cigogne, one that started at 6am on a scavenger hunt to try and find a fitting for my broken kitchen faucet, so I’d have water to perform daily functions, which ended in near-tears (and me having to buy a whole new faucet, which doesn’t work very well), but at least I had Armagnac. The only problem I have with La Cigogne is that it’s not actually in my backyard. But it gave me an excuse to get out and do some exploring. The shop is open most evenings until 10pm (check the website before heading out as hours can change), and they have a seating area that’s très charmante, where you can déguster (taste) and order several of the things they have on offer, including a glass of wine from their cave, or maybe a sip of Armagnac, if it’s on the menu. Fantastic post David, wow wow such beautiful food & drink, really an education, mouth watering! So much great stuff.problem for us visitors and I am in Paris regularly, is the difficulty bringing stuff home. Would they be willing to ship to the states on my next visit? Wonderful post …will print out to have with me on next visit to Paris … Merci beaucoup. 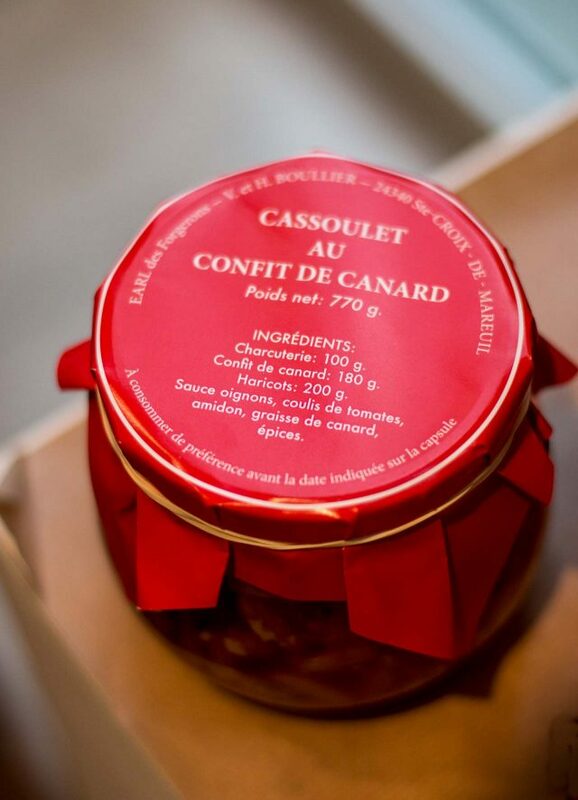 How many people does a 770g cassoulet serve? 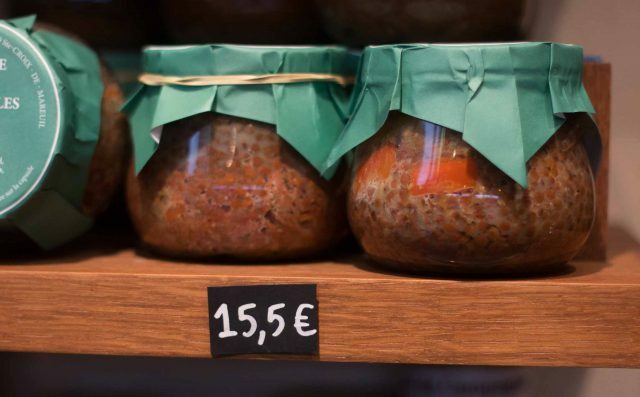 One cuisse de canard, one saucisse de Toulouse and one hunk of pork per person…that’s a lot to fit into that jar. 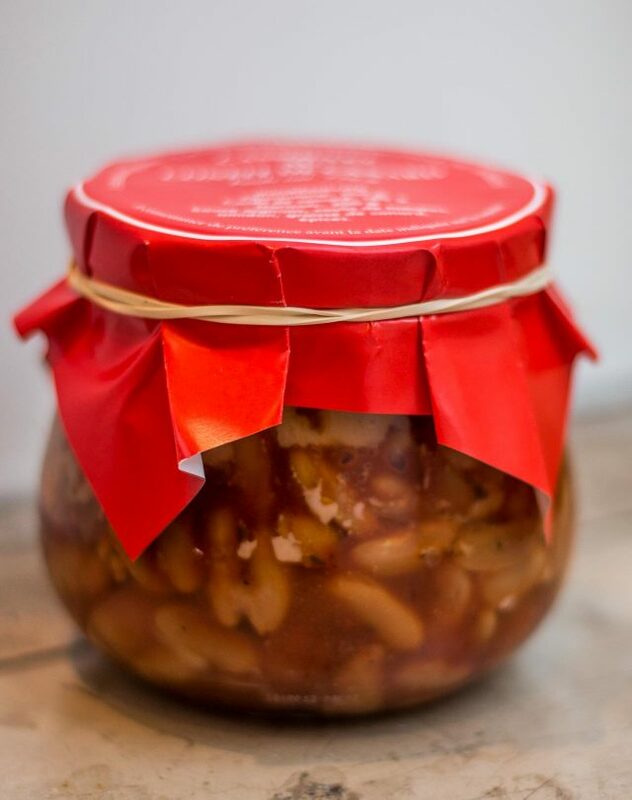 We had visitors recently and bought a prepared cassoulet from a butcher in les halles in Carcassonne. It came in the cassole, ready to pop into the oven. 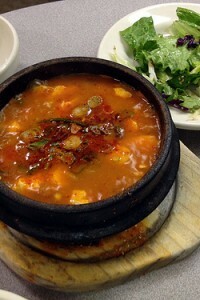 We paid a deposit for the dish and were reimbursed when we brought it back. 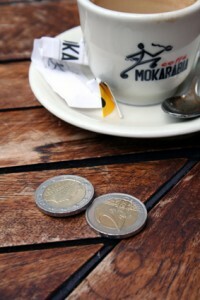 It came out to €7 per person! Quite the bargain. And it was divine. 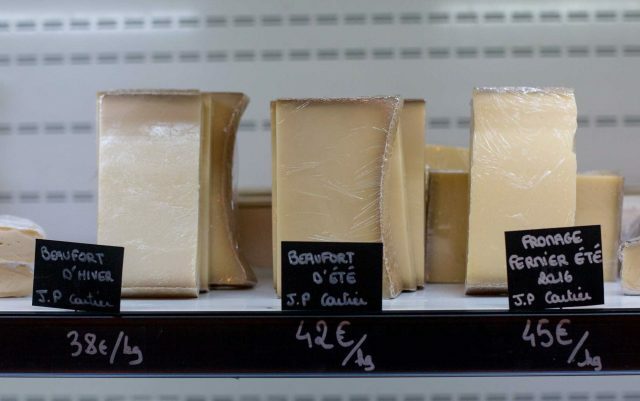 Seems great and not to far from my job, except for the Beaufort, I mean 42€/kg ! That is a hefty price tag.